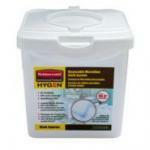 Rubbermaid HYGEN™ Disposable Microfiber System. The Rubbermaid HYGEN™ Disposable Microfiber System features innovative technology that offers optimal infection prevention, superior cleaning performance and improved productivity. It is the only disposable product line in the healthcare industry proven to remove 99.9% of microbes, including C. diff, that helps stop the chain of infection. 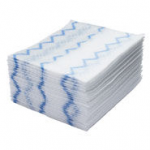 * View details on our HYGEN™ Disposable Microfiber Cloth Starter Kit and our HYGEN™ 18" Disposable Microfiber Mop. 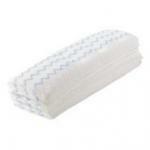 99.9% microbe removal, including C. diff* 50% more coverage Superior, streak-free cleaning Built-in scrubbers!